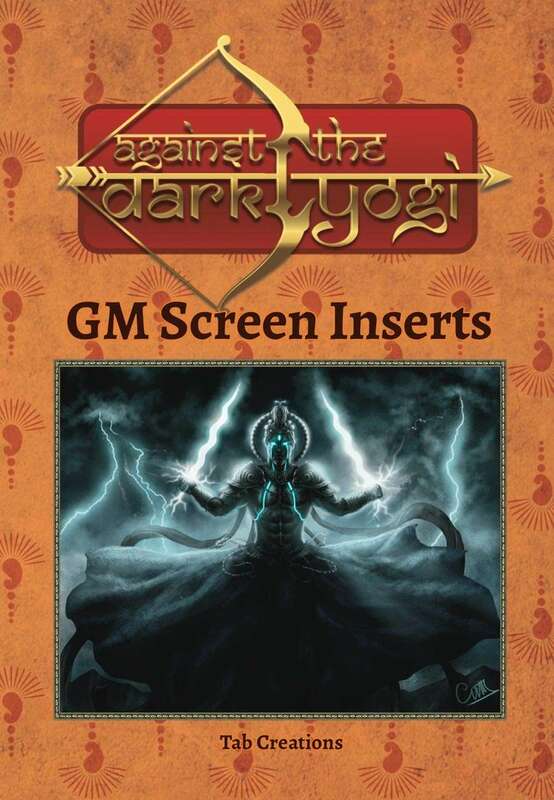 These GM screen inserts are an invaluable tool for game masters looking to run Against the Dark Yogi: Mythic India Roleplaying. Presented in letter-sized landscape format, they are designed to fit most popular customizable GM Screen products. This title was added to our catalog on September 03, 2014.